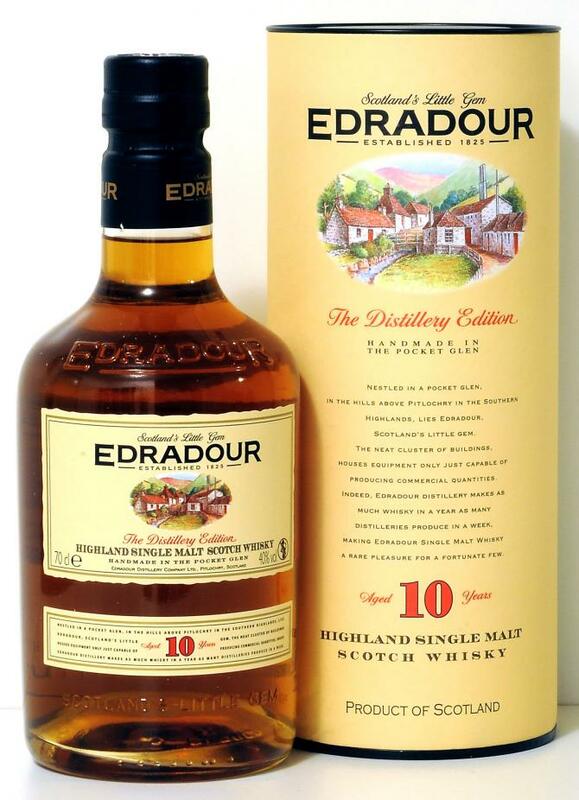 Based in Pitlochry and owned by independent bottler Signatory Vintage, Edradour remains one of the smallest distilleries in Scotland. Rich honey sweetness, heather and a diffuse flowery scent encounter the nose on first contact. Very nice, but obviously young. Something bothers me on the palate. 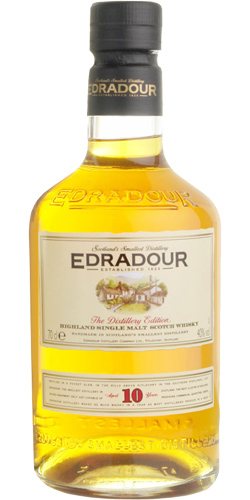 It is neither the sweet maltiness, paired with oranges and spices, nor the soft and creamy character. There is something sharp and herbaceous that is hard to pin down. The finish is fairly short with honey and bitter nuts. Not bad for a 10-year-old Single Malt. Short, but no painless finish. something is burning. Sweet, oak, cooked fruit, a little sherry, crisp and fresh round and satisfying. Beautiful Highlander. Again and again! Actually quite pleasant to drink, but there is little substance. Pear in the nose, some hay and overall rather sweet. Immediately on the palate again the pear, otherwise not really much and everything superficial. It rinses on the palate but does not really do much. I really tried to keep it long in my mouth, but as a result, that does not change anything. Very short, here too the pear. But at least nothing unpleasant. Mine has corked after a month, and has now developed an unpleasant bitterness, both whilst in the mouth and the finish. After another session with this, I'd like to add morning dew over vegetation, to my nosing notes. I've found it to be cooling, almost menthol-like. My overall score has not changed. I purchased this knowing it wasn't going to be a world-beater, but on some other reviews I had read regarding a thick, vanilla/caramel taste. For the less than £30, I was more than happy to give it a go. Nose is sweet with floral notes. Taste is immediately even sweeter; one of the sweetest initial tastes I've ever had. I can't pick many flavours out, it's much artificial sweetener....it's not bad, it's actually really easy to drink, but it's not very complex. This is not a negative review. 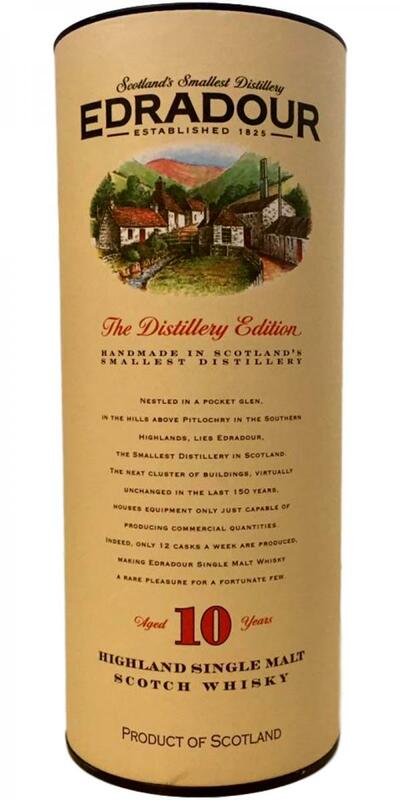 I'll happily drink this if I have some laying around, and more importantly I think it's a great introductory whisky for those who have never tried it before/are not sure if they will like it. It's sweet, easy to drink, with a very short finish. It could do with being a little stronger and I would like to see some of the sweetness exchanged for complexity, but overall, I can't not recommend this.